Now, that said, it is true that on the day that Business Insider wrote the article, searches containing the term or partial term ‘gun’ often turned up no results. 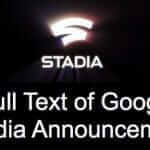 However, there was not any evidence whatsoever that it was an intentional act on Google’s part. However, that didn’t stop the Business Insider, and several other news outlets, from making hay (headlines) while the sun shined (Google worked to fix the problem). What it was: A tempest in an itty-bitty teapot. What it wasn’t: It was not a policy change on the part of Google in response to the most recent school shooting, or anything else. Of course, and especially given the timing, conspiracy and other theories abounded. “Wine lovers cannot buy Burgundy tipple on Google as internet giant cracks down on ‘gun’ searches” bannered a Telegraph headline. 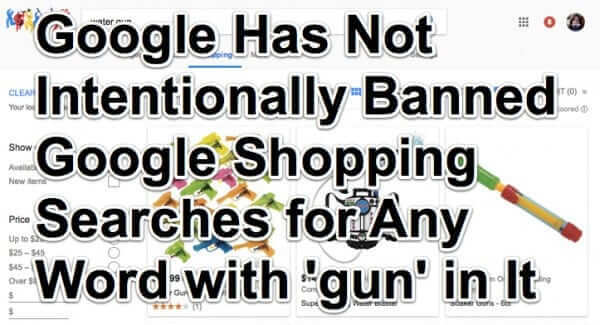 But, in fact, Google hadn’t tried censoring ‘gun’ shopping searches at all. It is true that Google has banned the sale of actual guns, and “functional parts” of guns, in Google Shopping since 2012. So that is old news. 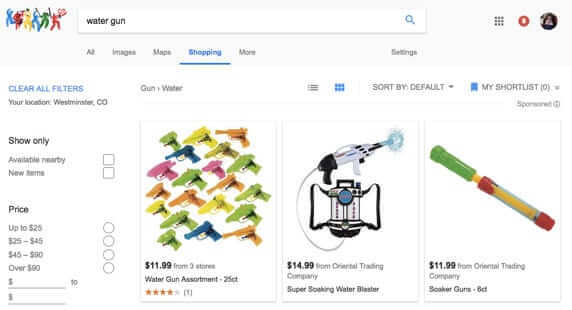 But it is not true that Google intentionally disallowed any shopping search of any term containing the partial term ‘gun’, such as ‘Burgundy’, ‘Gundam’, or, yes, ‘water gun’ or ‘Guns n Roses’. Still, this didn’t stop newsmongers from running with the misleading stories. Even Motherboard got in the act, telling people that they could “get around” Google’s ‘block’ by simply mistyping the term ‘gun’ as, for example, ‘gnu’. So what is the actual issue here? Is there any there there? If there is, it is only that it seems that it’s not impossible – indeed perhaps it’s even easy – for Google to screw up their search algorithms, allowing someone to accidentally break something. Perhaps they should require at least two someones to review such a change to the system. Perhaps they even already do require more than one someone to commit a change, in which case perhaps the number of someones should be increased. 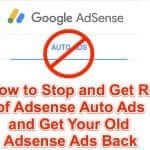 There are plenty of examples of instances where Google has strayed (even wildly) from their original ‘Do no evil’ creedo, or even from Alphabet’s ‘Do the right thing’, which replaced ‘Do no evil’ in 2015, but this isn’t one of them. 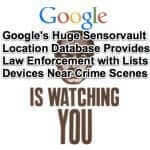 News of Google Shopping's censoring (i.e. not allowing) searches containing the search term 'gun' are greatly exaggerated. 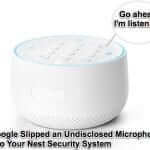 Earlier this week Business Insider reported, and we quote, that "Google Shopping bans searches for 'water guns' and 'Guns N Roses'"
Prev Are the Amazon Echo, Google Home, and Siri Making People Less Polite?